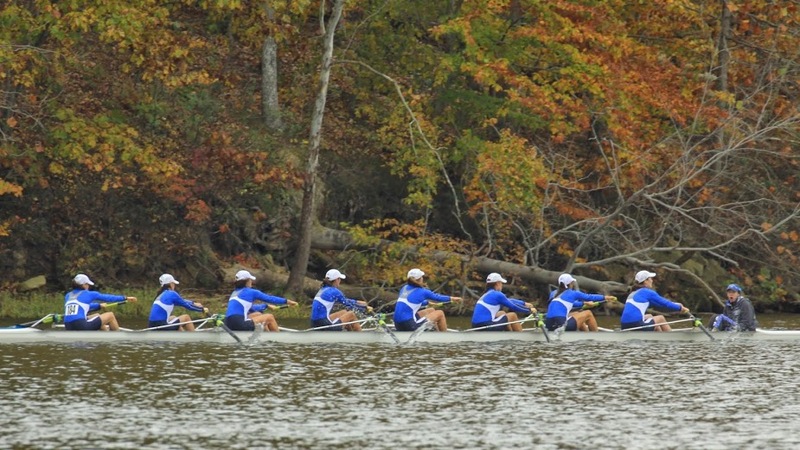 Ohio State University, Barry University and Trinity College claimed the top spots in the fifth regular season USRowing/Collegiate Rowing Coaches Association Division I, II and III Collegiate Rowing Poll presented by Pocock Racing Shells. Ohio State earned 17 first-place votes and a total of 460 votes to top the Division I poll for the sixth week in a row. University of California remained in the No. 2 spot with six first-place votes, and 449 total votes followed by the University of Virginia in the No. 3 spot. In the Division II poll, Barry University earned all five first-place votes and a total of 197 votes to top the Division II poll for the fourth week in a row. Humboldt State remained in the No. 2 spot with 160 total votes, and Western Washington University rounded out the top three with 122 votes. In the Division III poll, Trinity College claimed the top spot for the second week in a row earning six first-place votes, and 145 total votes. Williams College remained in the No. 2 spot with four first place votes and 139 total votes. Bates College claimed the No. 3 spot with 128 votes. Minnesota (27), Notre Dame (25), Louisville (18), San Diego (17), Iowa (7), Northeastern (3). Philadelphia University (17), Rollins (14), Florida Institute of Technology (8), Franklin Pierce (2). Pacific Lutheran University (8), Lewis and Clark College (8), US Coast Guard Academy (5), University of Rochester (2), Clark University (2).